Hedge Maintenance | AP Trees (Kent) Ltd.
Hedges make great garden features and also make great boundaries. 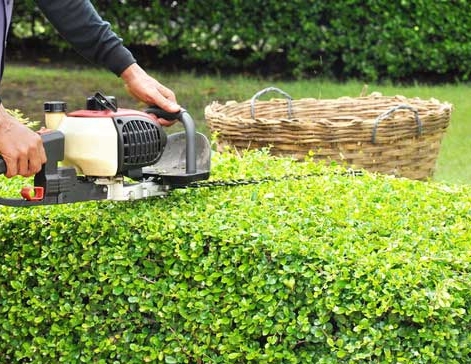 However if hedges are left too long before being trimmed, it can leave them looking unsightly and will cause for larger cuts to be made in order to maintain the size and width of the hedge. Regular maintenance of hedges will keep your hedges looking their best and in the best condition health wise. Different species require different levels of trimming. For example ‘Leyland Cypress’ hedge can need cutting up to 3 times per year in order to maintain them, whereas a ‘Yew’ hedge may only require 1 cut per year. Timing is important with hedge maintenance, as different species are best cut at certain times of the year. Here at AP Trees we are able to advise on all your hedging needs and give you the best advice in order to give the desired result you may be looking for. We are able to do a ‘one off’ cut on your hedges to allow you to manage them yourself, or we can set up a maintenance programme with you to keep your hedges looking their best.